Turkish President Recep Tayyip Erdogan has said he hopes the recent US decision to arm Syrian-Kurdish forces fighting Islamic State will be reversed by the time he flies to Washington for a meeting with President Donald Trump next week. “I hope very much that this mistake will be reversed immediately,” Erdogan told a news conference in Ankara on Wednesday. "We want to believe that our allies will prefer to side with us, not with a terrorist organization," he added. “I hope that they [the United States] will turn away from this wrong,” the Turkish president said, expressing hope that the decision would be changed by the time he visits the US. Erdogan is due to fly to America next week for his first meeting with President Donald Trump on May 16. The statement from the Turkish president comes a day after the White House authorized arms supplies to Syrian-Kurdish fighters battling IS. The decision to supply arms to Kurds would have “consequences” and a potentially “negative result” for Washington, Turkish Prime Minister Binali Yildirim warned on Wednesday. Every weapon given to the YPG represents a threat to Turkey, Foreign Minister Mevlut Cavushoglu told reporters on Wednesday. While the YPG is a US ally in Syria, Ankara perceives it as an extension of the outlawed Kurdistan Workers Party (PKK), which is considered a terrorist group in both Turkey and the US. 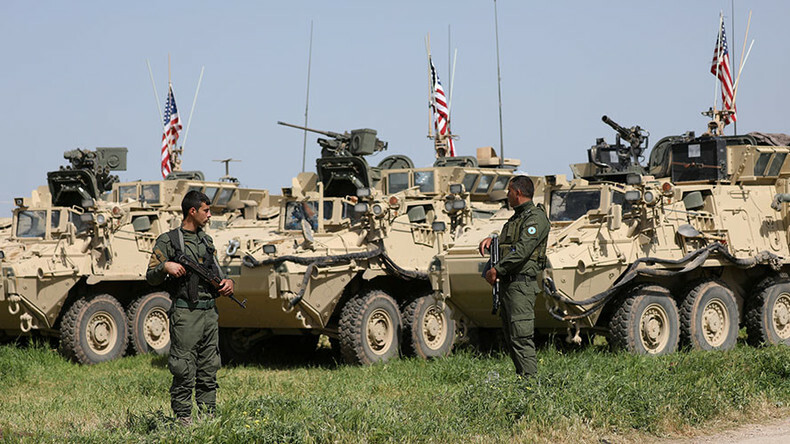 The US responded to the comments by the senior Turkish officials, with US Defense Secretary Jim Mattis promising to “work out” concerns over arming the YPG fighters. “We will work very closely with Turkey in support of their security on their southern border. It's Europe's southern border, and we’ll stay closely connected,” Mattis said on Wednesday, according to Reuters. “We believe that from now on and after this historic decision, (the YPG) will play a stronger, more influential and more decisive role in combating terrorism at a fast pace,” Reuters cited YPG spokesman Redur Xelil as saying in a written statement. 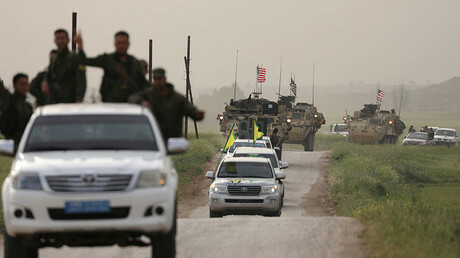 The decision to supply weapons to YPG militia came amid recent tensions between the US and Turkey after Ankara’s strikes on Kurdish-held areas in Syria and Iraq late in April. The aerial bombing and artillery shelling killed a number of YPG militants and Iraqi Peshmerga fighters. Several civilians also perished in the strikes on Syria, according to the militia groups’ statements. Turkey, however, claimed that it had targeted solely PKK “terrorists.” Iraqi Kurds acknowledged a PKK presence in the targeted areas, but the YPG did not. 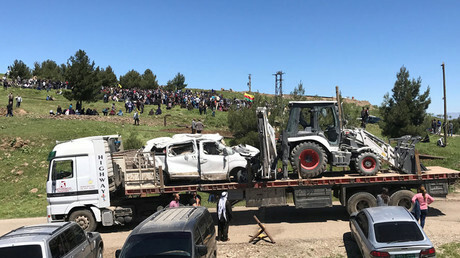 After the incident US troops arrived to the targeted locations to inspect the damage The demonstration of American military presence in the region met a harsh reaction in Ankara. President Erdogan’s senior aide Ilnur Cevik said the US forces in Syria could be “accidentally” hit by Turkish strikes, as their presence wouldn’t shield “PKK terrorists” from Turkey’s forces.